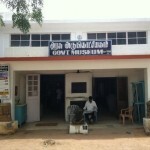 Government Museum is near the the compound of Gandhi Museum. It was established during the 5th World Tamil Conference held in 1981.Training sessions and summer training camps on arts, music and crafts are held here. It also has a fine collection of bronzes, sculptures, musical instruments and paintings.